I realized today that I haven’t mentioned my diet in many months. The reason why most people stop talking about their diet is because it has failed. Mine hasn’t!!! Not only did I hit my goal, in about 5 months, but I now way 167lbs today! Everything I did is available for free in the toolbar above, or click here The Healthy Diet. You do this for awhile and lose about 10 to 15% of your body weight. Which is easy to do by the way. Your body then goes into starvation mode, because you have been eating less than 60% of your required calories and the diet fails. That’s right that equals out to over 175% of my recommended fiber intake and 120 carbs. That’s right, I pay no attention to carbs either. You also have to find out the number of calories you should consume to meet your goal weight. 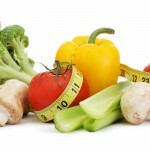 I provide all of those charts and more information on the foods you should base your meal plan on at The Healthy Diet. Don’t worry it is all 100% free! I wrote this article to let you know that I’d love to help work you through your diet issues. There is nobody out there doing this for free, who has done it and has nothing to sell ie. Supplements, Exercise Equipment, etc. So, leave your questions below and I’ll do all I can to help. If you want customized meal plans we can do that as well. I just need you to focus me in the right direction so that I can help you best. Here are a bunch of my diet video’s for those who have not seen them. Hey I just started this diet because I’ve had enough looking the way I do. I literally fall in your same weight range and am also 6’2″, 6’3″. I looked over your diet numerous times and finally decided to try it. The only problem I am having is keep track of my calories because in your recipes, which by the way the veggie enchiladas are to die for!, they do not specify calorie intake. This wouldn’t be so difficult if all the ingredients were all listed in your amazing chart of goodness haha. I just wanted to extend my gratitude to you for changing the way I eat. I never took the time to really look at what I’m eating throughout the day. This diet is amazing because you list everything you SHOULD eat. I’m very excited to 1, start losing weight, and 2, finally eating healthy. For more info about myself I’m 18 years old male. I’ll be sure to report the weight I lost on your amazing diet. That’s great! I monitored my calorie intake using myfitnesspal.com. Actually I used their free ipod app. After a while it becomes very easy to keep track of what you’re eating because it stores everything you eat. I’m now at 167 pounds and of course everyone says I’m too skinny 🙂 It is all about replacing small unhealthy meals with large healthy meals. Avoid fast food like the plague and gorge yourself with all the healthy things on the list. I do eat one thing everyday and that is Bran Buds cereal + fruit + 1 ezekial muffin. After that I just eat healthy versions of whatever I like. By healthy versions I mean you should avoid: Fat, Cholesterol, Salt, High Fructose Corn Syrup and MSG. If you do that and don’t cheat the weight will fall off.